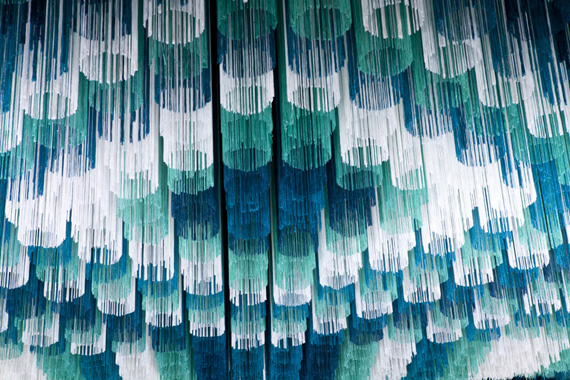 As a follow up to our string installation post on Monday, we have one more ephemeral project to share with you. 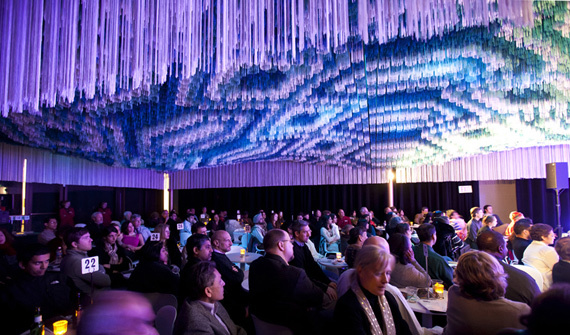 Conceived as a temporary installation for a multi-purpose event space in Washington, DC, this string installation hovers delicately at the ceiling bringing life and movement to an otherwise neutral space. 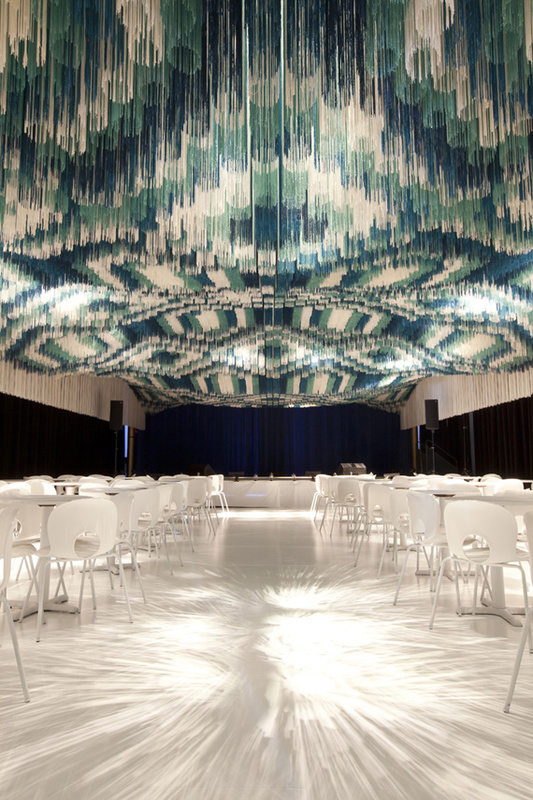 We love how dramatic the effect is and are putting this in our stockpile of inspiration for a future LS event!